Tatiana and Larry’s wedding at Fazeli Cellars in Temecula, California was seriously such a dream!! 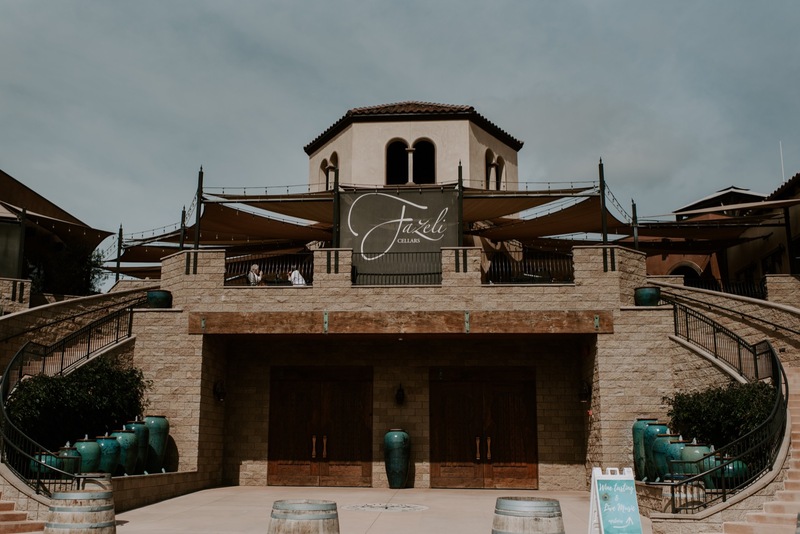 Fazeli Cellars is a STUNNING winery/venue in Southern California and I had the best time ever shooting there. As much as I love Colorado and being a wedding photographer here - I LOVE to travel for weddings!! When Tatiana first messaged me on Instagram about doing their engagement session in Colorado over the summer and then coming to do their wedding in Temecula, I was SOO excited! I knew right from her first messages and the first time we ever talked on the phone that we would be such great friends. I had the greatest time ever getting to know them and loved being a part of this time in their life!! Their wedding was an absolute dream. From the most stunning ceremony backdrop, the sweetest couple/guests ever, running around the vineyard taking portraits, allll the gorgeous florals, etc. I was so obsessed with everything about this day!! Also - a HUGE shoutout to my second photographer Megan with Hazel and Lace Photography who lives in Denver and was able to come shoot with me and help me create this magic out in California!